Oh I love a great sketch! 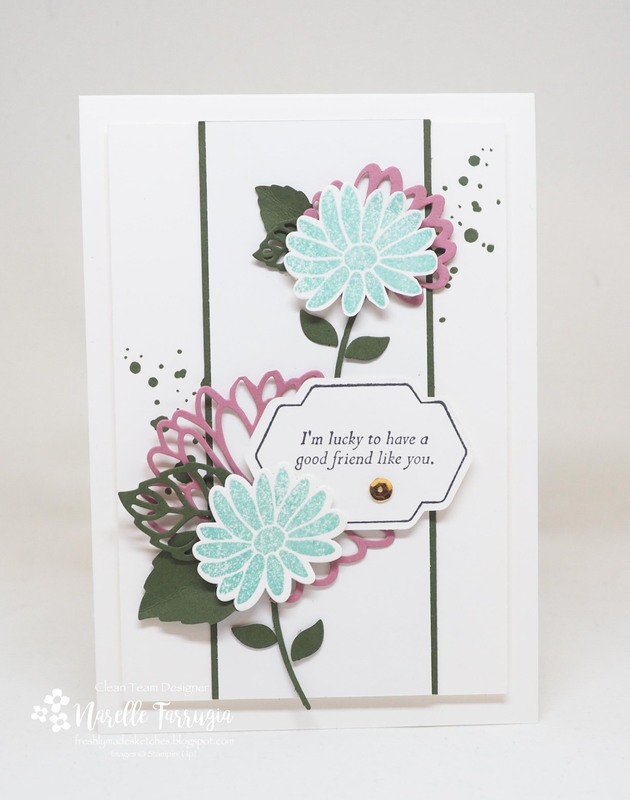 This weeks sketch at Freshly Made Sketches has been designed by the talented cardmaker and talented sketch maker Karren Johnson. The pretty colour combination I have used on my card is – Soft Sky, Mossy Meadow & Sweet Sugarplum. A combo I have never used before, but found I really love these colours together. The flowers I have used are from Stampin’ Up!s Special reason and I have paired them with the flower and leave dies from Stylish Stems Framelit Dies. 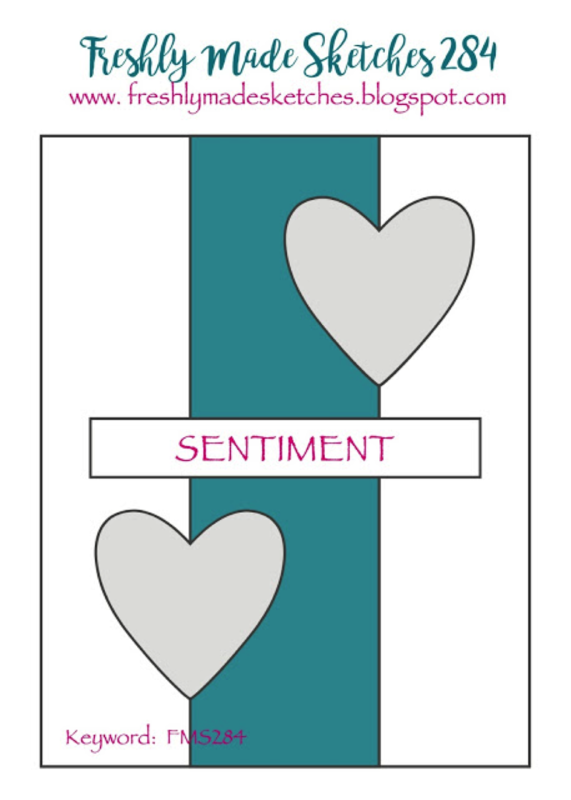 I stamped the sentiment and frame around the sentiment die in Basic Black ink so it would stand out a bit more – it is also from Special Reason. The design team at Freshly Made Sketches have created gorgeous cards to inspire you. Head over to the challenge and take a look. We would love it if you could play along. Oh how pretty! Love your soft color combo! Pretty card! I love how you used layered flowers for the two hearts on the sketch. This is an amazing CAS design! Gorgeous card Narelle! I love those flowers and the gorgeous colour combination! So very pretty! Those colours work beautifully together and you’ve made a gorgeous card! The addition of the splatters is a great touch. I totally love those pretty flowers and thoses splatters, Narelle! This is so pretty! These flowers are perfect for this sketch! Lovely card! Beautiful, Narelle! I love this color combo and the fun splatters. These colors are amazing together!! Wow on those gorgeous flowers and your perfect layering details! This is such a lovely mix of diecuts and stamped images! I love how you added the bit of splatter with each one.